Madison, Wisc. 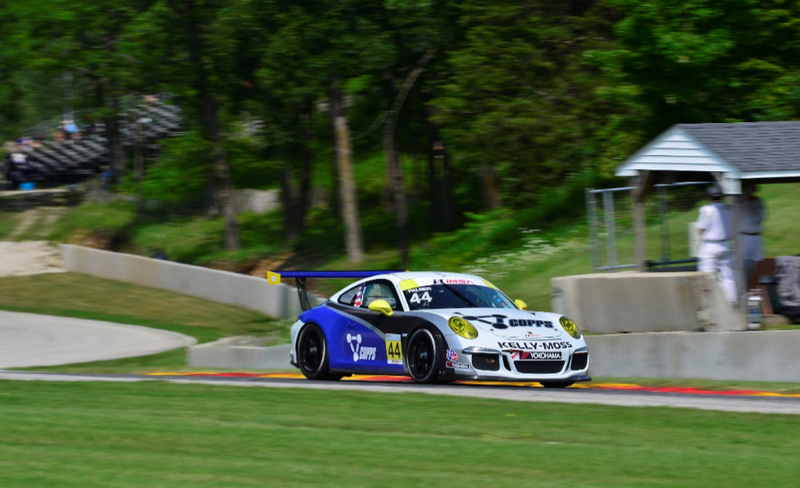 (6 August 2017) – Kelly-Moss Road and Race (KMR) was back in race-winning form at the team’s home track this weekend as the Madison, Wisconsin-based squad took to Road America for IMSA Porsche GT3 Cup Challenge USA by Yokohama competition. 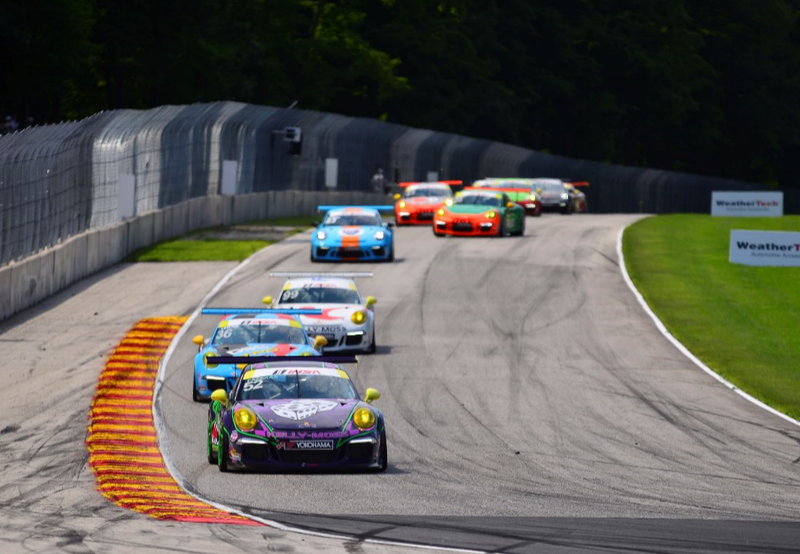 The Road America event featured three races as IMSA staged a make up race for the Watkins Glen round that had been cancelled in June. 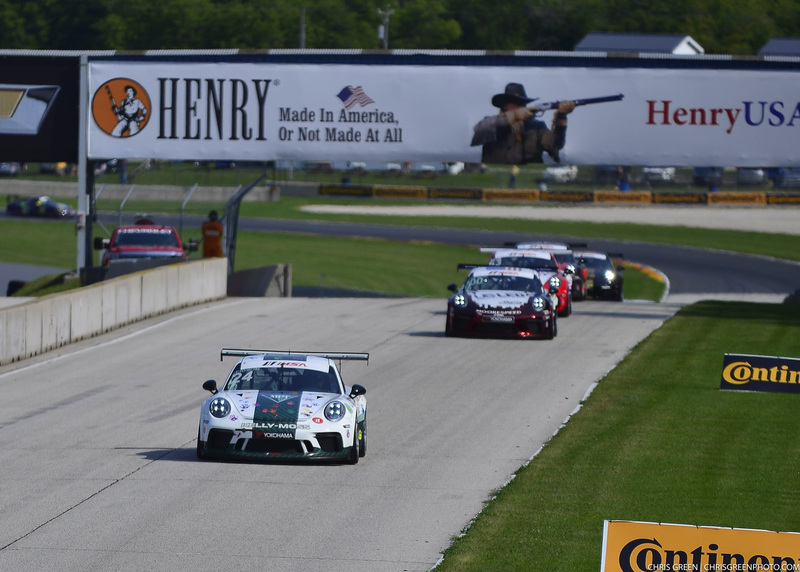 A multi-car KMR lineup of Porsche GT3 Cup machines included the championship-leading No. 24 Kelly-Moss Road and Race Porsche of Jake Eidson, and the Gold class entries of Kurt Fazekas in the No. 52 Kelly-Moss Road and Race Porsche and Greg Palmer in the No. 44 Copps Industries Porsche. Friday’s make up race was run in highly challenging conditions, with the track surface varying from lap to lap with the unseasonably cold and rainy conditions. But Eidson was more than up for the task, leading through the 17 lap race to score his fifth win of the season. Saturday brought improved weather and another race victory as Kurt Fazekas broke through for his first Gold class win to add to his podium count so far this season. Eidson drove a smart race to score second in the overall standings while Palmer brought home sixth at the finish. Sunday’s race featured a huge dual for the win between Eidson and Corey Fergus. 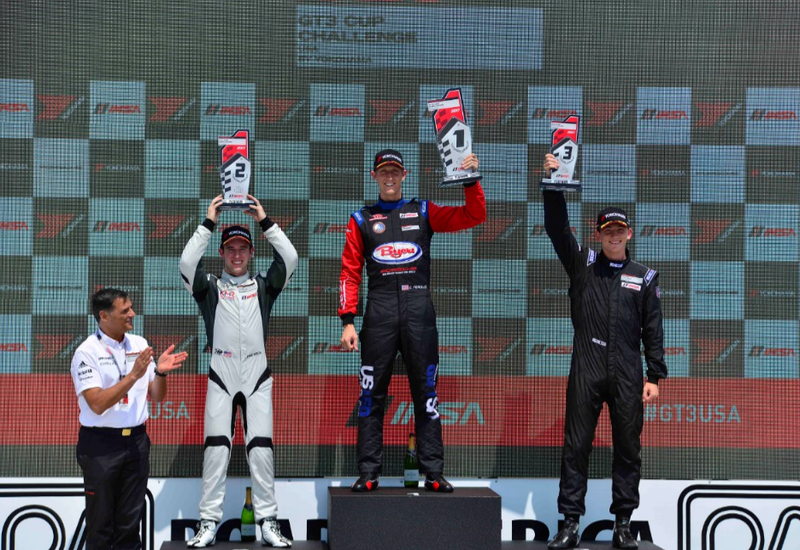 Eidson made an outstanding move to take the lead and start to grow his advantage but IMSA ruled that he had to give the position back after concluding that he had violated track limits. Frustrated but focused on the big picture, Eidson looked to find a way by once again but ran out of laps to complete the task as he came home in second position. Palmer matched his best finish of sixth, and was pleased to be racing in the drier conditions as the weekend progressed. 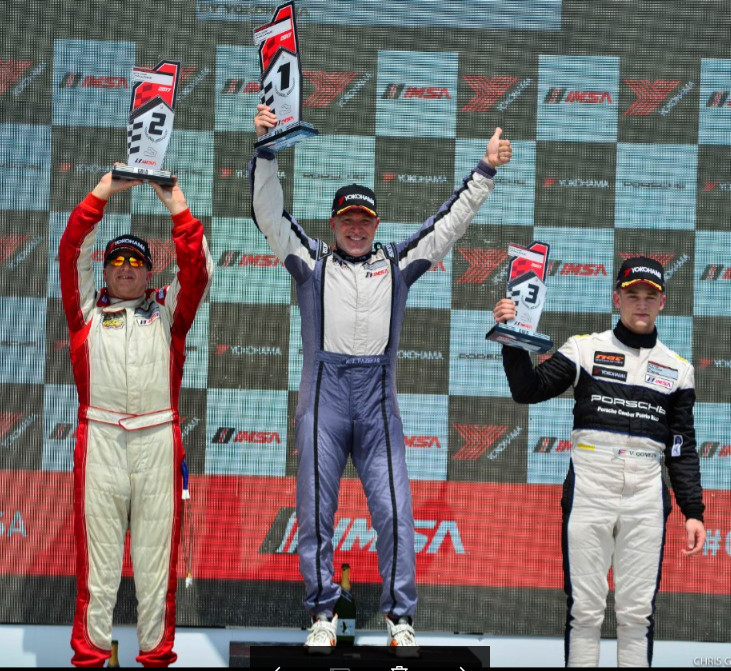 Fazekas’ drive for a second victory was thwarted when he was hit off track by a competitor midway through the race, but he was able to recover to finish fourth. The event marked the final North American event for President and CEO Porsche Motorsport North America Jens Walther, who has steered the California-based organization for years and will move on to his next assignment for Porsche as he returns to Germany this fall.